The original Associated-Rediffusion (A-R) daily opening routines had used The British Grenadiers with Cockaigne to start the main evening broadcasts from 7pm, and Blithe Spirit with Cockaigne for the morning and teatime transmissions. The Rediffusion March (originally known as Music Everywhere) by Eric Coates was used in 1956-7 but lasted a relatively short time and soon gave way to this long remembered sequence featuring the first piece specially commissioned by the company. The earlier Rediffusion March had been re-dedicated by the composer for use originally by the Rediffusion cable concern in the late forties, as an interval signal and been borrowed by the TV operation at rather short notice in 1956. At the time, Sir John Barbirolli was chief musical adviser to A-R, with Steve Race as the company’s Director of Music. The piece had been designed to fit the newly clarified regulator’s requirement of a pause in mid-tune to allow for the contractor’s licensing authority reference, a main section heard over a tuning signal and a grand closing verse with climactic point for company symbol to form and closing reprise over a clock face. In the early sixties this was shortened to a direct cut from tuning signal to clock. 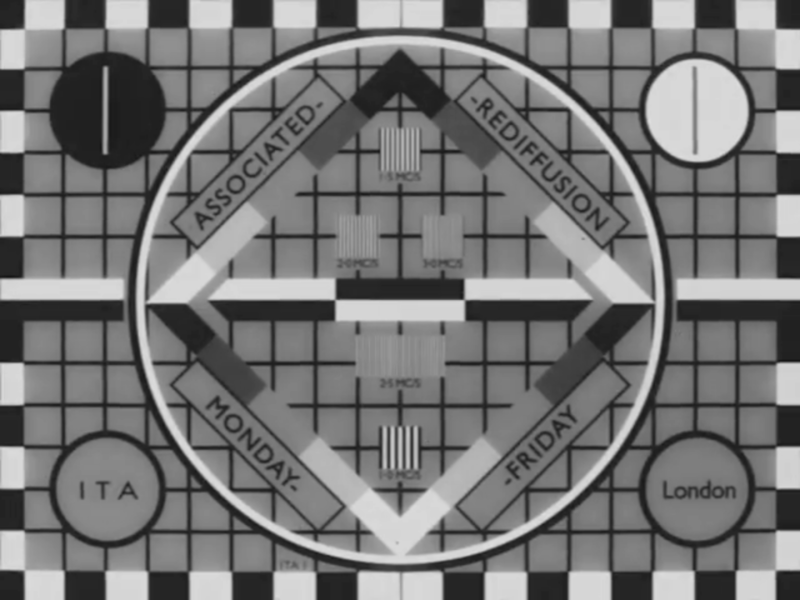 In the early years of Independent Television, these elements were highly specified and their daily conduct policed by the authority. This level of detail was thought to matter in the broadcasting environment of the day. This formulation for a start-up became a national standard for the first generation of regional ITA daily opening routines. Someone, possibly Race, will have selected a composer, in this case the almost unknown Stanley Bate, and given instructions on the exact requirements for a functional piece, expected to be heard by viewers several times a day for some years. 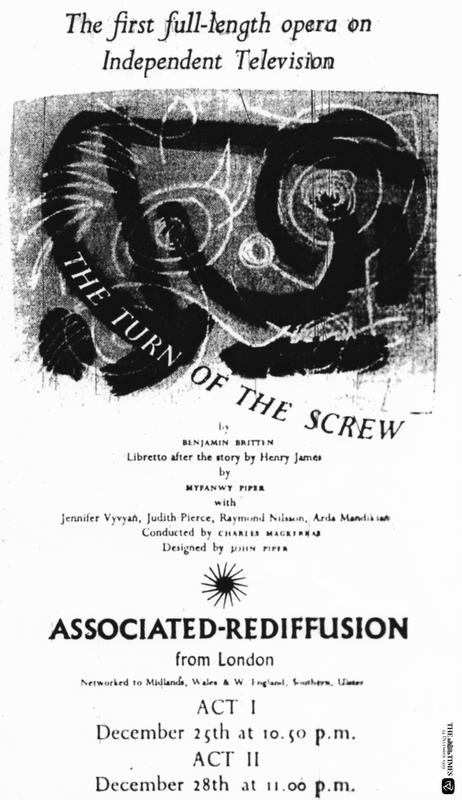 The title Associated-Rediffusion March would probably have been specified by the company rather than the composer. Corporate Identity was the name of the game. The tuning signal in use here, the second ITA design, (the first having mainly been used in pre-launch tests) had two incarnations, with transmitter name originally used, and region name substituted as the number of stations on air multiplied. 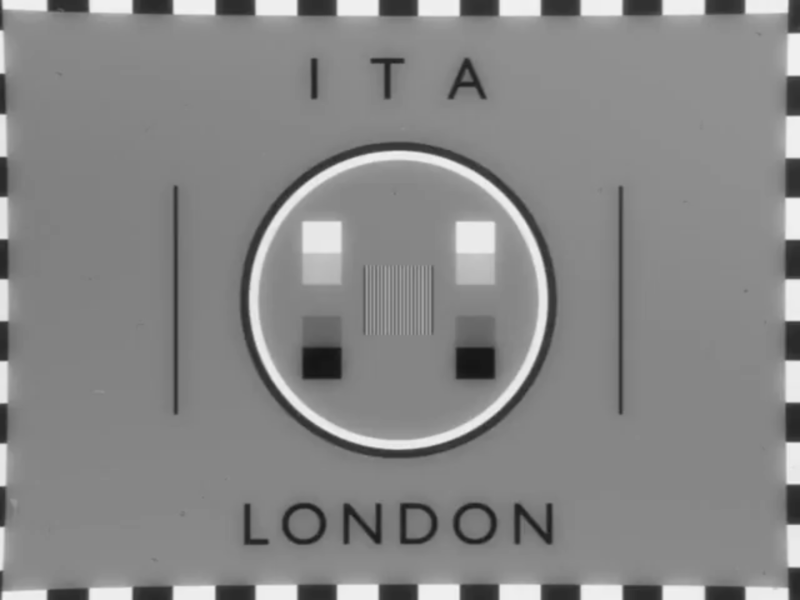 Only with its successor in about 1960 did the ITA develop the ‘Picasso’ tuning signal that is so well remembered today, a design ironically borrowed from an internal A-R camera setup card of 1956. The fade to symbol for the last verse is of special interest. The brief rotation of the A-R star symbol, also known as the adastral, as part of the form up event, is for one rotation only and the trade mark remains static once complete. 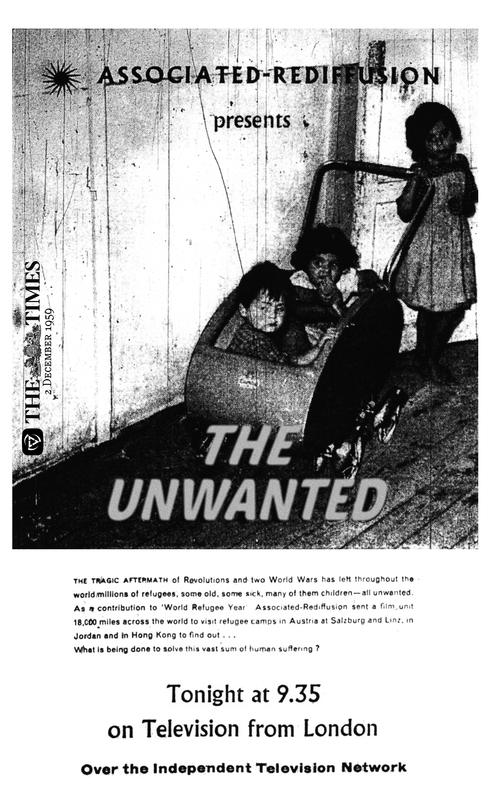 History has often mis recollected this feature. 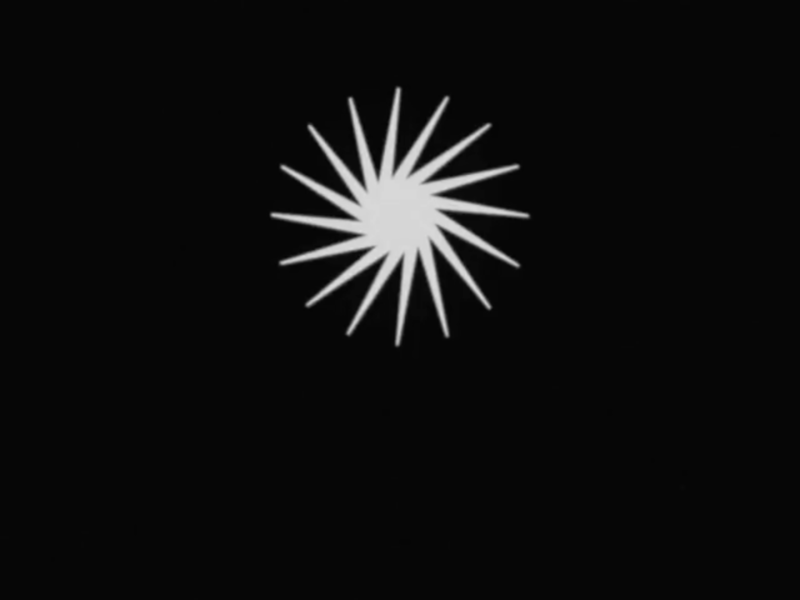 It was not until 1964 that the star remained in permanent movement on the logo caption. It did rotate without stopping, on the company clock however. 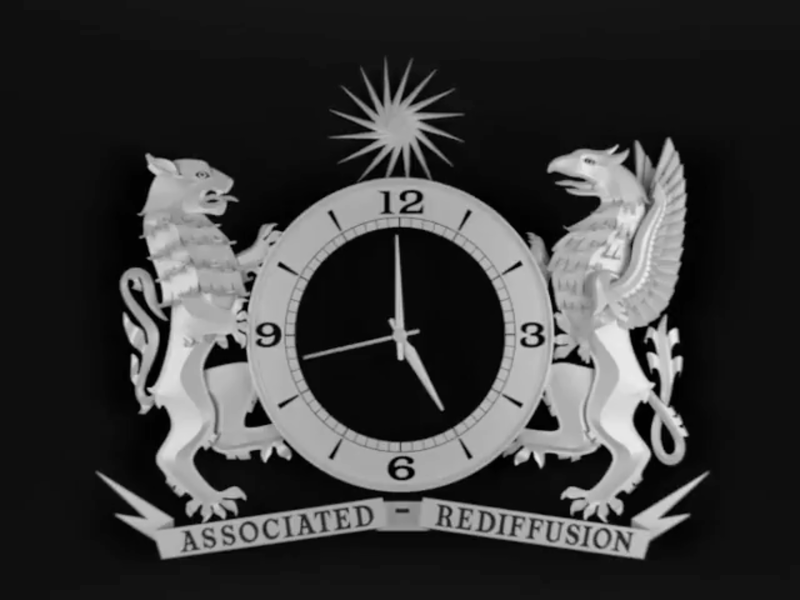 It is worth noting that the rotation was in the opposite direction on the form up caption to the direction of rotation on the clock and indeed on the post 1964 Rediffusion London symbol. This is as obscure an observation as it is possible to make, in the history of television presentation! The A-R clock, now in the Bradford media museum, was one of the glories of early weekday ITV in the London area. It was even nicknamed Mitch after the company’s first Head of Presentation, former BBC TV announcer Leslie Mitchell, also known as the commentary voice on British Movietone News, the famous twice weekly cinema newsreel that ran on into the seventies. The florid grandeur of the image may seem absurd to modern eyes, but at the time television was a theatrical focal point of any living room and to give the company clock an iconic status seemed the obvious thing to do. The attendant mock heraldry was of course a response to the BBC coat of arms, still in occasional use by BBC TV presentation in 1955, and helped to lend A-R the gravitas and weighty image that it craved. 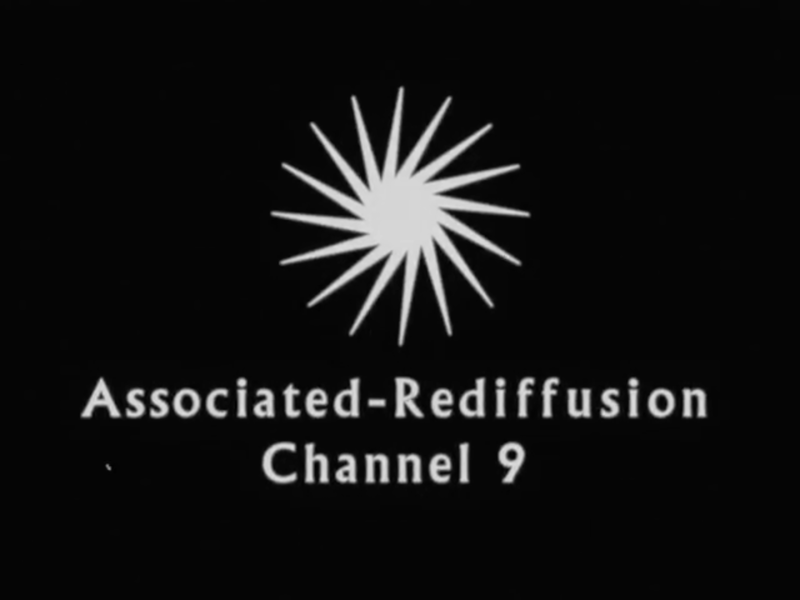 A-R, throughout the life of the company, made a non-stop effort to give the new commercial television channel a respectability that it believed was needed to look the BBC in the face and to prove wrong the critics who had predicted that commercial television would, by definition, be vulgar. A-R regularly sponsored concerts, engaged leading artists and musicians of the day and took some risks with occasional heavyweight programming in peak slots, especially after 9pm. The clock very much represents this ethos and was not thought to be ‘over the top’ at the time. Britain was a very different place then, and this daily start up routine gives an almost perfect flavour of the country in the fifties. The clock had become dated by the time of its demise in 1964, but had been seen as very grand in the previous decade. The voice of the very young Redvers Kyle sounds respectful and modest, as if even the duty announcer knew his place in a deferential society. The music is perhaps best described as a cross between mock-heraldic and a B-picture war film. It is almost a pastiche of its own genre. 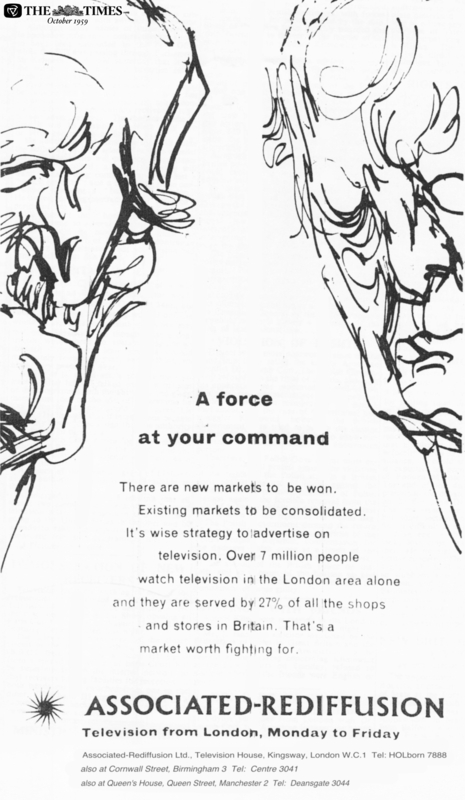 It was well remembered, if not necessarily liked, by those who heard it as it insisted that ITV was not a penny bazaar and would prove that commerce could equal public service when it came to respectability. This is probably the most heavyweight ITV daily start-up routine of all, almost to the point of a surprising dreariness and very much of its time. It was evidence of the A-R desire to keep up with the ‘respectability’ that was the simultaneous ethos of their main rival, BBC Television. This article originally appeared on Transdiffusion before 2001. It has been republished in a slightly different form and with the addition of the animated Associated-Rediffusion start-up recreation by Dave Jeffery. Kif Bowden-Smith is the founder of the Transdiffusion Broadcasting System.